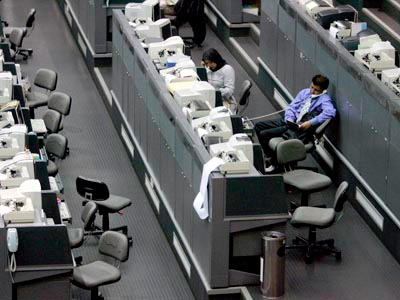 There is an apocryphal anecdote about a chief executive of a European bank and a trip to the trading floor that pretty much sums up what has happened to Wall Street staffing since the financial crisis. The story goes like this: The bank had just cut a bunch of traders, and the CEO happened to walk across the trading floor where many of those staff once worked. To his surprise, the floor still looked pretty full.